From the kitchen of One Perfect Bite...I know I'm about to walk into a mine field, but it really can't be helped. Hopefully, I can navigate the terrain without unduly offending either lovers or haters of the crock-pot. While I'm a centrist, I intend to honestly report the results of the recipes I've been testing. Some were good, others were not. All were recipes developed by professional cooks or food writers. I have, in other entries, spoken of the yin yang relationship I have with the crock-pot or slow cooker. I love its set it and forget it functionality, but I have serious problems with the texture and flavor of the meat it produces. I think most recipes written for the crock-pot produce protein that is dreadfully overdone and strangely flavorless if it's not buried under a ton of sauce or gravy. To overcome these problems, particularly in competition recipes, I season meat or poultry the night before it is to be cooked and brown it before it goes into the pot. I also reduce cooking time and rely on a meat thermometer to indicate doneness. Crocked Pork Roast with Cherry Glaze is a recipe that comes from a book I was given during the holiday. It was the cover feature and I selected it thinking that the only the best recipe would be selected to grace that spot. I made the recipe exactly as directed and I was not happy with the results. The dish bears no resemblance to the pork roast shown on the cover of the book. I think that's deceptive, pure and simple. The book cost someone $35 and the finished dish cost $16 to make and when I factored in my time I was really bent out of shape. Cooked as instructed , the roast falls apart when lifted from the pot and the sweet and sour sauce used to braise the meat is too sweet to use for anything other than light glazing. This was clearly a miss. I made it a second time so I would have pictures to show you. I cut the cooking time and sauce ingredients in half and had better, though not perfect, results. This dish was a strike-out for me. I didn't care for it, but because some of my tasters thought it was delicious, I'm including it here. Here's the recipe. 1) Remove string from pork roast and trim any visible fat. Sprinkle evenly with chopped parsley, rosemary, and thyme; lay sage leaves on top. Roll up and tie at 2-inch intervals with heavy string. Pierce roast all over with tip of a paring knife and insert slivers of garlic. Spray inside of crock with nonstick cooking spray and place onions on bottom. Place roast on top of onions. Coat with a few blasts of cooking spray. Cover and cook on HIGH for 2 hours. 2) Combine preserves, honey, vinegar, cloves, cinnamon, and salt in a small saucepan. Bring to a boil over medium heat, then reduce heat and simmer for 2 to 3 minutes, stirring frequently. Add almonds. Pour glaze over pork roast, reduce heat setting to LOW, cover, and cook for another 6 hours, until meat is tender when pierced with tip of a knife and an instant-read thermometer registers about 160 degrees. I ve been craving...thanks for the recipe dear..
Well, I have had a weird problem with the crock pot. When I make a roast with vegetables around it, the potatoes come out blood red, like they absorbed all the blood in the meat. I do not brown the roast. If I have to do that, I might as well not use a crock pot. But the thing is, all my friends who cook a roast and potatoes never have this happen, and they don't brown their roasts either. Do you have a clue what's going on? If the potatoes are absorbing the blood, then why doesn't it happen to anyone else? Wow that sounds like it would be INCREDIBLEY sweet. Thanks for enduring it twice so you could post it for us! I dont like the texture of most things in the crockpot. Pork roast with cherry glaze looks absolutely marvellous.. Using a slow cooker to cook such a lovely dish does need skill. You had mastered it well. I only use it (if ever) to cook soup where I didn't bother if the meat fall apart. All I want is a nice, delicious, nutritious soup :D Hope you have w wonderful day. Ellerinize, emeğinize sağlık. Çok leziz ve iştah açıcı görünüyor. Interesting comments. I am not a HUGE fan of the crockpot either. I have one but it usually languishes in the cabinet - I think it's best use is to keep food warm (i.e. Super Bowl chili, nacho cheese dip) but then I'm not a fan of the microwave either -- call me an old fashioned girl! Your picture does look yummy, however, I must admit. I use my slow cooker about once every two weeks when we have a busy day and I don't want to stand in front of the stove when we get home. I have wonderful luck with pot roast and chicken and sometimes with pork. Your roast looks delicious but the cherry would be too sweet for me. I use my slow cooker/crockpot at least once a week. This recipe really caught my eye. looks fabulous ane I love the fact that the roast didn't fall apart but kept it's shape. Will be trying this one; thank you. Thank you very much for your visit and your lovely comment about my Christmas pudding. I love your site, I will follow you from now on. I would like to have the time to post my recipes in english, french and italian but unfortunately I don't have the time, so please don't hesitate to contact me as other blogger friends do in case you have doubts, questions or simply curiosity about anything. Have a nice day! Though you didn't like the flavor it LOOKS fabulous! When I read the title post I thought to myself..that sounds different...may give it a try but make some of the adjustments you mentioned. Thanks for the honest opinion!! A crock pot centrist, eh? Well, that's usually the best place to be on any subject. Moderation in everything ... including moderation, of course! Cheers! While not a huge crock pot fan myself (I miss the active cooking time), I love recipes that combine pork with fruit: and it's been so long since I've cooked anything with cherries; it's a nice reminder they are out there, even in the dead of winter. It's true that some recipes made for slow cooker are really not great. Personnaly, I'm preparing only some recipes in the crockpot because it overdone the meat. But for a couple of recipes (like osso buco) it does a great job! Have a good day! I'm sorry it was a disappointment as it does sound really good! I find I have some problems with the crock pot too. There are only certain dishes I will actually make in it due to those problems. Glad to hear I'm in good company!! This looks really good. Your photos are spectacular! Do you think if the time was cut back, the meat would be tender? I have had this happen to me before. There are just certain cuts that don't do well. I love its "set it and leave it functionality" too... I am making beef stew in it today. Beef stew always (for me) seems to turn out right. I am not sure why. I hardly ever cook things on high. Slow and steady is the way to go in the crockpot. Thank you for this recipe. As always, I just love your blog! I'm not a big crock pot user. I do like the fact that it takes care of itself to produce a meal but I've had no luck with meats. I have successfully done some soups and a vegetarian chili--all of which are worth keeping the crock pot to do. One of my big concerns in the past was a food safety issue--the low cooking temp over such a long period seems a perfect breeding ground for bad little organisms. That looks so delicious! A real show stopper for entertaining I bet! I loooove my crockpot! Just got it a few months ago and have been using it like it's going out of style! I love your honesty and I'm with you 110 percent re meat in the crockpot (or anything for that matter) and the watered down flavor. Give me the oven and my big cast iron pot any day! When I saw your pix I immediately thought that the pork looked too dry. Glad you concurred. I think slow cookers are best left for... well over the past 35 yrs. I haven't found a good use for them, except keeping food warm on a buffet. The pork roast looks really good Mary, but I'm with you when it comes to the crock pot. I enjoy it for stews, soup, chili and even a pot roast, as long as the meat has been browned first. i go in crockpot phases, and i definitely know what you're talking about. it sure looks delicious, and beautiful! I think there are some recipes that work really well in the crockpot (pulled pork!) but most/many do not. I love your honesty! Keep it up girl! Mary this looks marvellous and delicious, thanks for sharing the recipe, kisses from Portugal. Thanks for the wonderful tips about cooking meat in a crock pot, Mary! I really don't use my crock pot often enough...I'd love to change that though. The cherry glaze sounds lovely with this dish! I have nothing against the slow cooker. I just don't use mine, preferring and low and slow oven braise. Still, the cherries have me thinking about this. This is another yummy recipe! Smiles. I have a love/hate relationship with my slow cooker. I tend to like it for only certain things, baked beans, Indian pudding, soups, Yankee pot roast, foods that meant to cook long and slow. Other than that, it sits on the shelf. Hmm. I just got a slow cooker, so I'll have to watch so things don't get screwed up. Like all kitchen items, the crockpot has it's place. I like to use it for chili and stews, for warming/keeping warm items. I do like to cook meat that I plan on shredding, but over all the texture of the meat can end up being odd. Thank you for your HONEST and thoughtful comments about your slow cooker. I have one of the fancy ones and have had lots of successes, but an equal number of failures. The thing is that it is a COMFORT to walk into the house and smell the aroma of wonderful food awaiting you after a long, hard day. Convenience versus taste and texture? I love your words of wisdom. Count me as your newest follower. 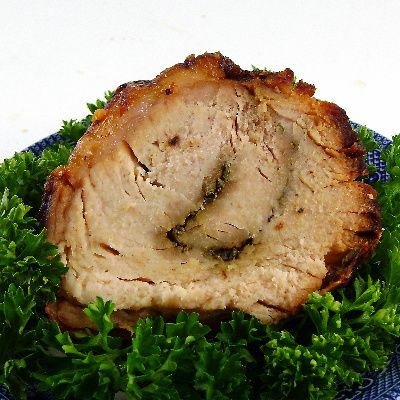 Mary, thank you for stopping by my blog and for you kind words : ) Your pork roast looks delicious! I have never made one before.. I will have to give it a shot! Thank you for your honest opinion. I find the slow cooker works wonderfully for cuts that braise well. Too bad, the recipe title sounded pretty good. Here's looking forward to your next post. There's something with crock pot that i don't usually get the best results when I use it. But your roast is a thing of beauty.. maybe I have to try using a crock pot again using your recipe and will see, maybe my affair with my crock pot will change. Thanks Mary! I only ever use the crock pot to cook soups...looking at your roast though, I think it is pretty delicious! I love my crock pot/slow cooker but have found it doesn't work well with certain cuts of meat. Pork is hard, it seems to dry out in the crock pot. I've done it with sauce and it turns out much better. The glaze on this one looks delicious. I have the original Not Your Mother's Slow Cooker and have made some delicious recipes from the book. If I were to judge jus' by the pictures, you woulda' had me right from the start. After readin' your post an' realizin' the difficulties you had, however, I am less inclined to make this dish. To be fair, I don't cook much, anyway on accounta' my good hubby-buddy has given me the rest 'uh my life off so's I can fulfill my dream of writing. Ain't he a sweetie? When I ventured further into your blog, I saw those luscious Brussels Sprouts an' knew I would be back for more 'uh your advice. Howdy. I'm very happy to meet you. this roasted pork looks so mouth-watering! Great and honest post Mary! I have never been a fan of the crock pot. We use it to keep Swedish meatballs warm on the buffet at Christmas Eve. My mother in law makes a pot roast in hers and is her go to meal for company. It is always tough and overcooked. Thank you for this honest opinion of the recipe. This looks amazing - I will have to give it a try! Im following you now you are some kinda cook!!! This looks delicious, I love how pork comes out in the crock pot!